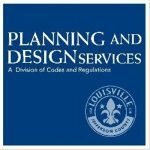 As National Historic Preservation Month comes to a close, Louisville Metro Government reports significant progress in implementing recommendations from the Historic Preservation Advisory Task Force’s May 2017 report to Mayor Greg Fischer. The Task Force, comprised of preservation advocates, architects, developers and neighborhood representatives from across the community, received technical support from National Trust for Historic Preservation’s Preservation Green Lab. Through a yearlong process, they reviewed research and best practices and then crafted a set of recommendations, including incentive programs, program improvements, policies and public engagement strategies—with the goal of improving the community dialogue and outcomes around historic preservation. Incorporated the Task Force recommendations into the Comprehensive Plan update. The Task Force also recommended amending local ordinances to enhance Metro’s preservation efforts. The Landmarks Commission formed a subcommittee in October 2017 to develop recommended changes to the Landmarks Ordinance, and a draft of those amendments was presented to full Landmarks Commission on May 17, 2018. The Commission will review the amendments and public feedback at its June 21 and July 19 meetings. When the Landmarks Commission completes its review, recommended changes will be sent to the Metro Council for review and approval.